2019 PI license application and test help! movements, whereabouts, affiliations, associations, transactions, reputation, or character of any person or group of persons. Guard or Patrol Agencies and Security Guards License Law. experience or three years equivalent position and experience. All applicants must be fingerprinted. What do the terms "experience" and "equivalent position and experience" mean? 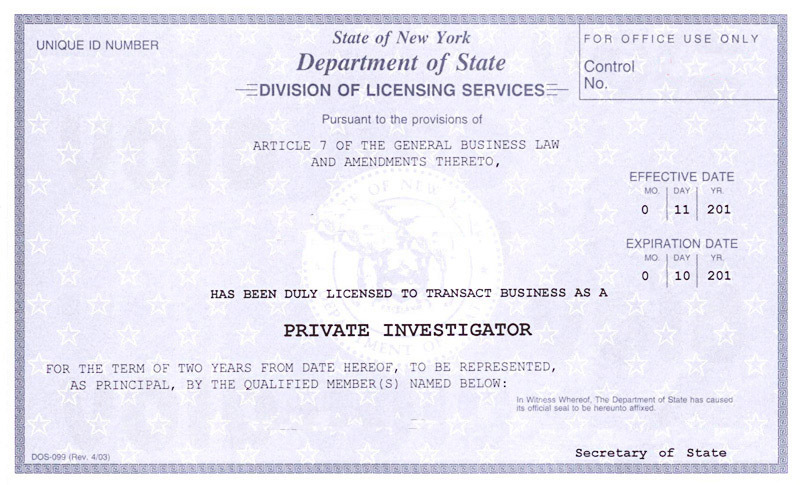 employee of a licensed private investigator, or an investigator in a government investigative agency or police agency. or New York State police officers or fire marshals with 20 years of service irrespective of title. Call 818-883-6969 for information about sample license test questions. Need some 'secret' information on passing the PI test? 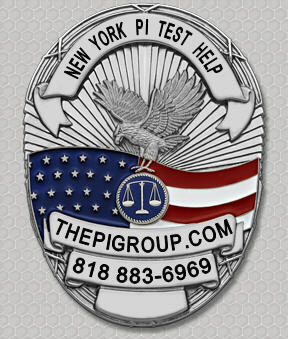 Click here: New York PI test study material!